A few days ago we showed you how to add an SSL certificate – one that you can purchase – to your newly created Amazon AWS Instances. As I was researching SSL certificates, I came across an interesting initiative: Let’s Encrypt. It’s an organization dedicated to serving up free SSL certfiicates so you can encrypt your site data. Whereas some people are turned off by the cost of an SSL Certificate from a trusted authority, this becomes a much better option. Note: There are a couple of other tutorials on setting up the “letsencrypt” package, but I ran into a few snags post-setup that I want to address, specifically on the WordPress front. A user with sudo privileges. If you’ve been following the tutorials, you have this. Your domain registrar login information. Your domain pointed to the Amazon AWS Elastic IP with an A record. Letsencrypt validates the domain ownership via the A record, so make sure that the IP address is set up properly in your domain registrar. You’ll need to stop the server for a few minutes to allow letsencrypt to run a web server on port 80. Make any necessary precautions. There is a second, ‘webroot’ option that we can tap into for automatic renewals, so once the initial setup process is done we won’t have to shut down the server again. Right now, it’s not available via the package managers – I have a suspiscion that will change soon. But we can definitely clone it via Git. …and install both git and bc. BC, by the way, is an “arbitrary precision language calculator”. Neat! Now that it’s installed and we have our dependencies, we can start the installation package. …and check to see if port 80 is open and in use. If you don’t seen any output… congrats! You’re ready to go! You’ll see a few things initialize, and you’ll be asked for a few bits of information. If this is your first time setting up, you’ll be asked for your email address. You’ll use this to receive notices and any recovery options, so make sure it’s valid and hit <OK>. Then a terms of service screen. Read the terms and click <Agree>. You’ll notice that the certificate expires quickly – 90 days. We’ll automate the renewal process later in the tutorial. Without those, we can’t set up the next part: the Nginx configuration. This is where the tutorial diverges from other similar tutorials. 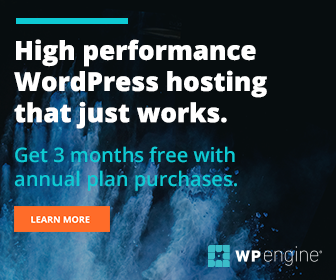 Other tutorials have you redirect the non-SSL traffic into the SSL traffic, but we actually need to keep the non-SSL and SSL traffic open with the same configuration, and use plugins to force SSL on the WordPress site. Otherwise, plugins such as Jetpack will cease to function correctly. # Define the microcache path. # Local variables to track whether to serve a microcached page or not. # We use this to proactively update items in the cache! # If the user has a user logged-in cookie, circumvent the microcache. # fastcgi_no_cache means "Do not store this proxy response in the cache"
# fastcgi_cache_bypass means "Do not look in the cache for this request"
Adding a ‘listen’ reference to allow traffic to flow through port 443, the secure SSL port. setting the paths for the certificate and certificate key – fullchain.pem and privkey.pem – that we generated earlier. Setting an additional layer of security by specifying what ciphers and protocols we want to allow. The list above is a very modern list and will disallow outdated or insecure protocols from attempting to use the secure site. Technically, we’re finished! You can visit https://yourdomain.com or https://www.yourdomain.com and see the secure site in its full glory! Using the WordPress Force SSL to redirect all other traffic (images, links, etc) from non-HTTPS to HTTPS. Note: Other tutorials, as I mentioned above, require you to redirect the non-SSL traffic in, but I found that this caused problems with plugins that require port 80 to be free and clear – like Jetpack. I wasn’t getting any site stats for a few days and had to dive in to figure out why. Turns out it was being rejected at the redirection point. Opening port 80, and forcing the redirection at the WordPress level, did the trick. The Let’s Encrypt certificates expire after 90 days. Let’s set up a server-side cron job (a script that runs automatically) to make sure we don’t have to worry about it again. Save and exit. This will open up that location’s files for letsencrypt, and drop in a hidden file that the scripts will use for validation. This way, we can keep our web server running – and not have to stop it to renew the certificates. You may want to figure out what your web root folder is. If you only have one site, it’ll be at /sites/yourdomain.com/htdocs (if you’ve been following my tutorials – otherwise, it’ll be different for each user). This goes through the prompts we filled in earlier, renews the certificate, and passes it through to the server (in the same locations you set up earlier). …to have it use the newly created certificates. Now we can create a cron job to automate this process. Notice how we set the –config flag to read the file we just created. If all goes well, reload nginx again – just in case! Finally we can set up this script with a cron job. There’s a Gist that has a nice packaged script we can run. Do your due dilligence and look it over before you install it. There’ll be a log file created at /var/log/le-renewal.log, so if anything goes awry you’ll have a reference as to how to fix it. And that’s it! You’re now running an amazing free encryption from Let’s Encrypt, letting it renew automatically, and allowing WordPress’ finicky internal features (like Jetpack) still authenticate.